July 1: Updated: Simplified product range and reduced logger pricing. April 4: GPX File Support Available Now. GPX files are compatible with many applications including Google Earth and Garmin Mapsource. Click here for more information about the GPX format. Click here for our support page. A New, Multi-Event data logger. Evo1 Series. Based on our existing Multi-Event logger, with an integrated high quality GPS+Glonass receiver. During normal operation, data from the internal GPS is stored in memory. 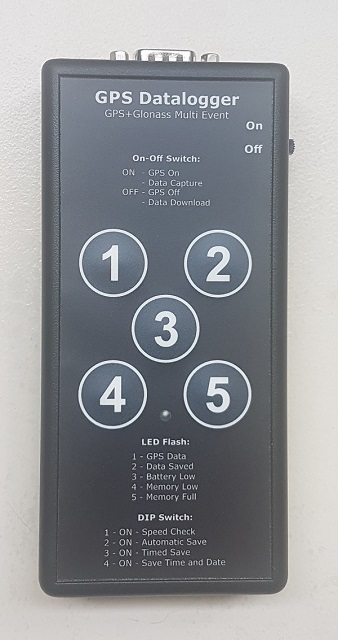 The user may generate waypoint data using the front panel keypad. Need externally wired events? Please ask us! * Available Now. Designed and made in Australia. Some customization is available. Save Up To 540,000 track points. Perfect for commercial tracking, data gathering, location based studies. 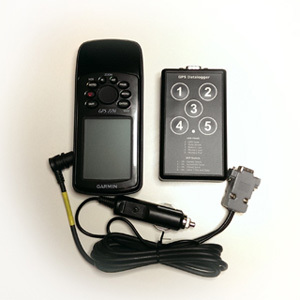 The GPS Data Logger is a small, robust unit that records NMEA position data from a GPS. It is a convenient, economical alternative to using a laptop computer or PDA, especially on long road, 4WD and motorcycle trips. Simply connect the logger to a GPS during your trip, then download the track data to a PC for use with OziExplorer, PCX5, Waypoint+ or similar mapping software. GPX file support. GPX files can be used with many applications including Google Earth and Mapsource. New! 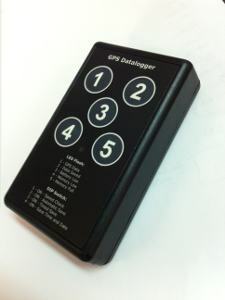 Multi Event logger with custom membrane keypad. Raised buttons, tactile 'click' feel, high contrast graphics and excellent durability. Any other use you can imagine!